If you are iPhone 3G/3GS or iPod Touch 3G/2G owners & on iOS 4.1 then you can use Sn0wbreeze 2.0.2 (Windows only) or Redsn0w 0.9.6 (Mac only) to Jailbreak iOS 4.1. 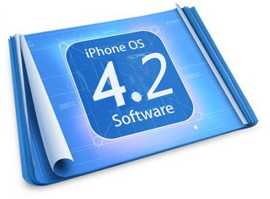 But if you are jailbreak app developer and updated to iOS 4.1 then our guides to jailbreak iOS 4.2 on iPhone 3GS & iPhone 3G with Pwnagetool Bundle can come handy for you. Few days back Apple seeded second beta of iOS 4.2 and no doubt pwnagetool bundles need to be updated to jailbreak iOS 4.2 Beta 2. You don’t need to wait longer as Msft.guy has already released iOS 4.2 Beta 2 Pwnagetool Bundles to jailbreak iOS 4.2 Beta 2 on iPhone 3GS. Guide to Jailbreak iOS 4.2 with Pwnagetool bundle can be found here. Make sure to download & replace iOS 4.2 Beta 2 PwnageTool bundle for iPhone 3GS. Proceed at you own risk we will not be responsible for any damage that may occure to your iPhone 3GS by following our guides.